Het Masterprogramma Archeologie bestaat in het eerste semester uit drie modules: Archeologie en Maatschappij, Projectontwerp en Uitwerking, en Regionale Syntheses. In het tweede semester loop je stage en schrijf je een afstudeerscriptie. Hoewel de structuur vastligt in de modules, is er veel ruimte om daarbinnen een specialisatie (regio/periode/materiaal) te ontwikkelen of accenten aan te brengen. In de module 'Archeologie en Maatschappij' gaat het om de bewustwording van de culturele en politieke diversiteit waar de Nederlandse samenleving onderdeel van is. Je verdiept je inzicht in de relevantie van de archeologie in de (multiculturele) hedendaagse maatschappij en de afhankelijkheid van de discipline van externe factoren. Je ontwikkelt communicatieve vaardigheden, maar ook bestuurlijke sensitiviteit. Discussie over een veelheid aan voor de archeologie relevante onderwerpen met docenten en gastsprekers uit het archeologische speelveld staat in deze module centraal. De modules 'Projectontwerp en Uitwerking' en 'Regionale Syntheses' zijn primair gericht op de ontwikkeling van onderzoeksvaardigheden en biedt de ruimte om je inhoudelijk te specialiseren op basis van persoonlijke interesses. De specialisatie kan betrekking hebben op specifieke materiaalcategorieën, zoals aardewerk, vuursteen, metaal, bot of botanische macroresten. Ook kun je een regionaal accent leggen: Nederland, het Mediterrane gebied, of het Arctisch gebied. Je leert hoe een onderzoeksplan opgezet moet worden. Je gaat werken met opgravingsgegevens en een materiaalcategorie die je interesse heeft, en in groepsverband wordt toegewerkt naar een synthese. Op regionale schaal staan interdisciplinair bronnenonderzoek, het kritisch beoordelen van de representativiteit van gegevens en het identificeren van bronnen van vertekening centraal. Je ontwikkelt analytische vaardigheden en het vermogen om resultaten van een geselecteerde regio te interpreteren en het onderzoekspotentieel ervan te beoordelen. In het tweede semester loop je een stage bij een organisatie naar keuze. Dat kan bijvoorbeeld een archeologisch bedrijf zijn, een overheidsinstelling, een museum of een andere publiekgerichte organisatie. De stage biedt een kijkje in de keuken en je biedt de mogelijkheid je eigen netwerk op te bouwen. Je kunt ervoor kiezen om de stage te koppelen aan je afstudeeronderwerp. Dat onderwerp kan archeologisch-inhoudelijk zijn, maar je kunt ook kiezen voor een ander aan de archeologie gelieerd onderwerp. Met de scriptie laat je zien dat je in staat bent om op academisch niveau een specifiek onderwerp uit te diepen en daarover verslag te doen. 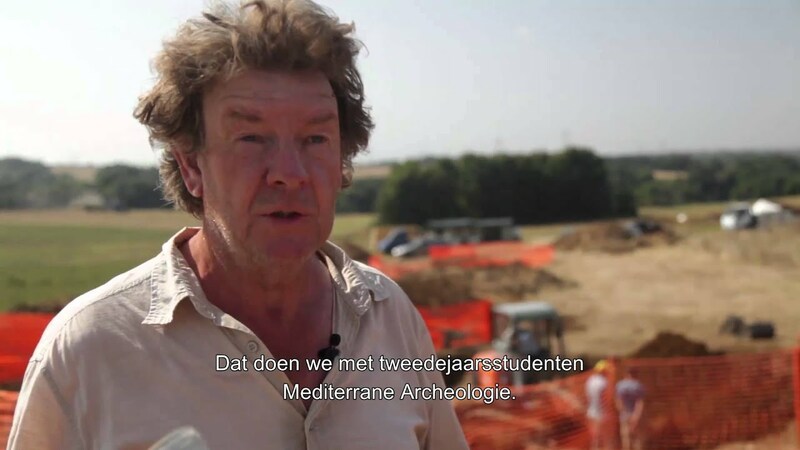 De BA en MA programma's zijn sterk verbonden met het Groningen Institute of Archaeology (GIA), dat het archeologisch onderzoen van de Rijksuniversiteit Groningen omvat. de archeologie van de Prehistorie, Protohistorie en Historische periodes in Nederland, de Mediterrane gebieden en het Arctisch gebied. 'I am a project leader at RAAP Archaeological Consultancy. I conduct archaeological research, which covers everything from fieldwork to reporting. In the Netherlands, construction projects that involve ground-disturbing activities (such as digging foundations) must always be preceded by an archaeological survey. These surveys are usually performed by commercial companies like RAAP. I particularly enjoy the variety between excavating and processing. During excavations you're out in the fresh air – and sometimes in the pouring rain – and get into contact with all kinds of people and situations. Sometimes we even find really exciting artefacts. This is followed by the relatively quiet phase of reporting, where you sit behind the PC and try to put all pieces of the puzzle together. These two tasks are very different from each other, but I like them both very much. I always had part-time jobs during my studies – but unfortunately I still ended up with a significant student debt. I also worked as an editor for TMA (Tijdschrift voor Mediterrane Archeologie), the journal for Mediterranean Archaeology, for quite some time and I did a lot of committee work. Students of Archaeology choose a track in one of two specific fields of study: Classical and Mediterranean Archaeology, or Prehistory and Protohistory of Northwest Europe, which focuses more on the archaeology of the Netherlands in relation to the wider European context. I chose the former because I wanted bridge the gap between the two and study Mediterranean Archaeology not just in the Southern European setting usually preferred by scholars in this field, but also in its provincial, Dutch setting. After all, the Roman Empire stretched not only from Alexandria and Constantinople to Rome but also to the little country that we now call the Netherlands. The Master's track in Classical and Mediterranean Archaeology allowed me a great deal of freedom to pursue this avenue of research: many course units and programmes are designed so that students can follow their own interests within the broad field of Mediterranean Archaeology. 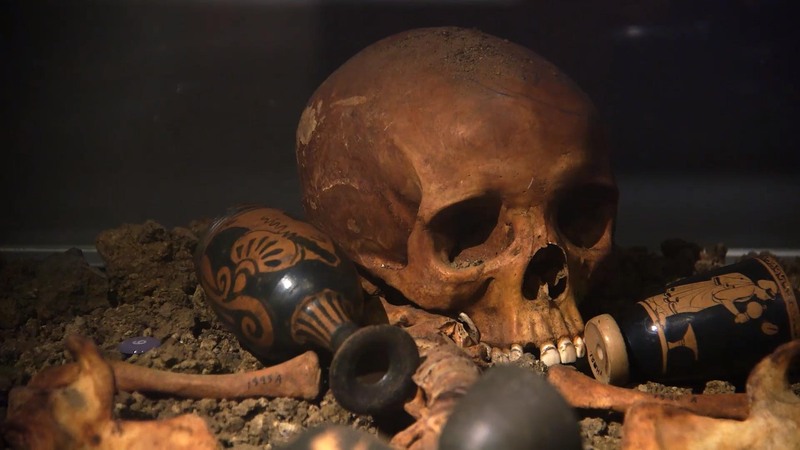 One course unit taken by every Master's student is 'Archaeology of Today', which pushes students to think in new and different ways about the role of archaeology in Dutch and European society. Examining the political relevance of archaeology and public awareness of it (through museums, for example) was very thought-provoking. Considering how Mediterranean and Dutch archaeology could be useful in real life made us go beyond writing academic papers to address how archaeology can be relevant in European and Dutch society today. After this Master's track, I hope to start working with the public in a museum where new research and the beautiful remains of our past are accessible to everyone. Many people are interested in our past and archaeology can help us feed this curiosity. By making the past tangible and human, everybody can see and experience how things used to be and where we come from. I chose Prehistory and Protohistory of Northwest Europe as this track best matched my interests and plans for the future. The good contacts between lecturers, students and staff here, and the fact that Groningen has been marked as an outstanding degree programme, made it a logical choice to come to do this Master's in Groningen. One of the strong points of the Master's track in my view is the excellent supervision by lecturers. They are really interested, and also suggest topics that they think might interest you. Because the group of students is small, everyone knows what everyone is working on, including the lecturers. The small scale of the institute, where everyone knows everyone else, makes it a really nice place to study. In addition, the programme has been changing a lot in recent years. The focus is shifting more to better preparation of students for the job market. So it's a very up-to-date and hands-on approach while simultaneously testing out the best ways to teach this. After I finish my Master's degree I would like to get a job as a field archaeologist. In order to realize this I need lots of experience, and that's what I'm trying to gain during my studies. At home and abroad. I don't really mind where I end up as long as I have a spade in my hand. I had my sights set on a career as a researcher, so I applied for the Research Master's degree programme in Classical and Mediterranean Archaeology. This programme enabled me to delve more deeply into the subjects that interested me, in particular the Iron Age in central Italy. During my studies I not only learnt to write academic articles, I also gained a lot of practical experience. The programme offered lots of freedom, enabling me to explore various options both in the Netherlands and abroad. For example, I spent six months studying in Pisa, and I worked in Greece and Italy. Once I had completed my degree in Archaeology I started looking for a job in the Netherlands. Unfortunately there were no suitable research positions available at the time, and commercial archaeology turned out not to be my thing. I stumbled upon the IT sector and spent five years working my way up to become a technical team leader. But archaeology always stayed in the back of my mind. In 2011 I found a job as researcher at the University of Groningen – a bit like coming home. Are you interested in a research oriented career? Please also check our Research Master's Programme of Archaeology. Iedere student met een Bachelor diploma archeologie wordt toegelaten. Met een bachelordiploma van een andere studie moet toestemming worden gevraagd bij de examencommissie.